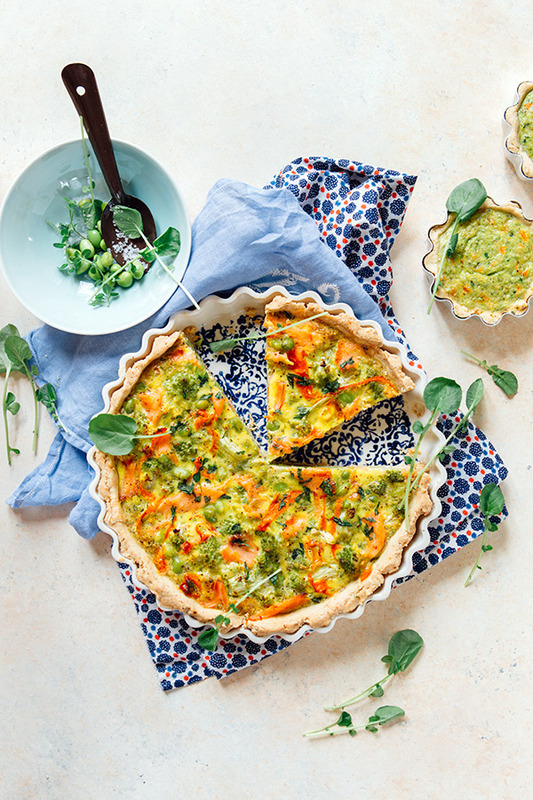 A good week always includes a vegetable tart for lunch or dinner. 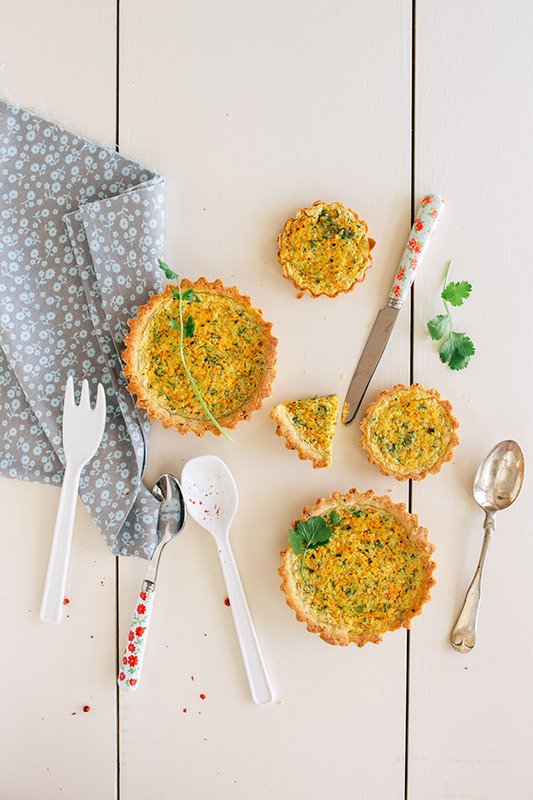 I am deeply attached to vegetable tarts. Tarts in general. Vous ? 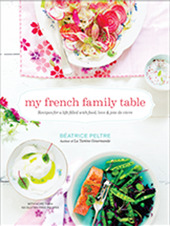 Undoubtedly, they keep me strongly connected to home and my French roots, my mother’s kitchen and casual meals shared with friends–they are extremely popular on the dining room table in my family, and amongst my French peers. Vegetarian or not, hearty to feed an appetite or light to satisfy a nibble; I like to invent them with whatever each passing season offers–You’ve probably noticed this if you own a copy of my first book. 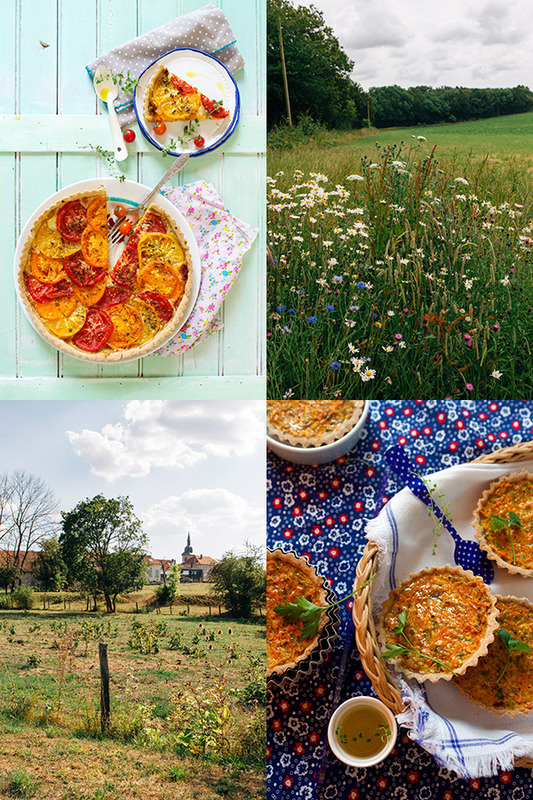 And if you are curious to know, I keep many more new tart recipes (savory and sweet too) for you in the second. Lulu is fond of them too. 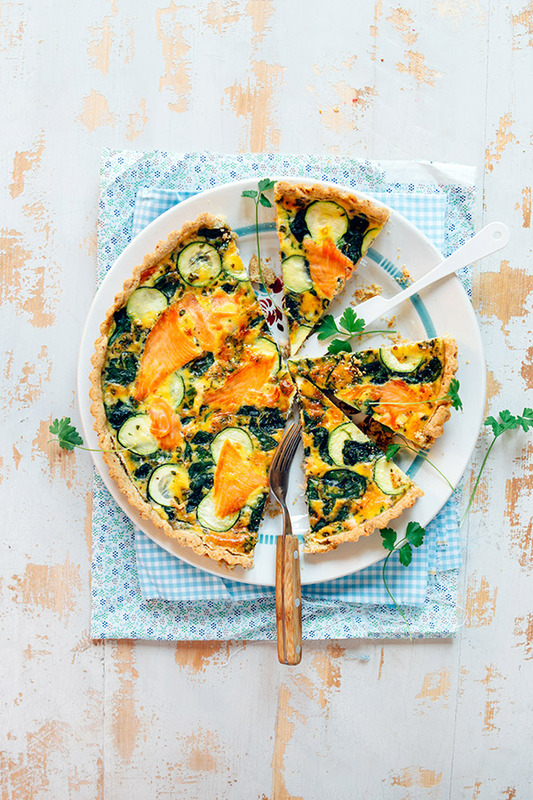 In fact, a vegetable tart is one of the favorite dishes that she and I like to create together. While I often make mine family style by choosing a large tart mold, Lulu prefers to shape hers individual in size, perfect–and cuter–for her smaller hands to grab. Many decades ago, I imagined that perhaps one day I’d run a small restaurant where people would gather to enjoy some of my inspired tarts. But as I slowly quit the idea and put my energy elsewhere (very glad I did), I still continue to dream tart recipes to share. So that now instead, I prefer to cook vegetable tarts for us, and for our friends when they happen to stop by and that’s what we are having for dinner. I like to think about this tart as a cross between ocean and land, a beloved theme in my cooking, bringing together ingredients I often use to make simple and quick lunches. The tart does not require a lot of time to prepare once the dough for the crust is prepared. 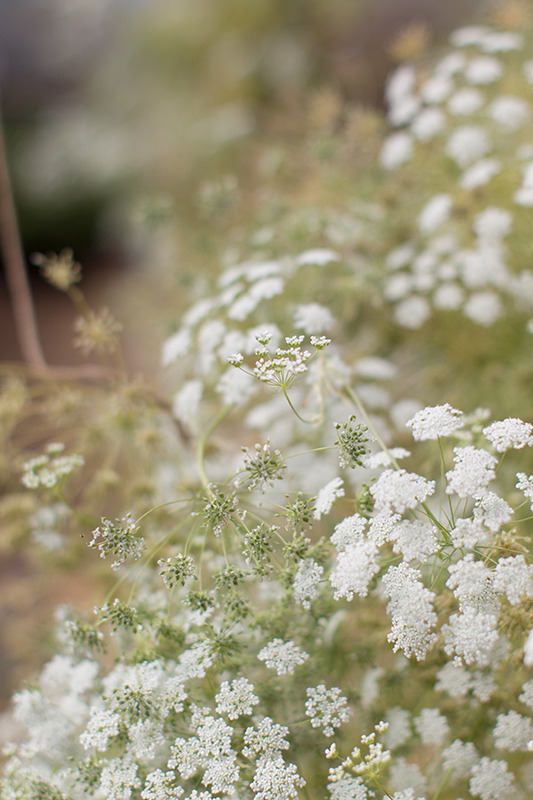 Use your favorite herbs, as I imagine it will welcome many different ones. I happen to grow oregano, thyme, and parsley in small containers at home right now, so that’s what I used. The flavors in the tart are mellow–which is exactly what I was after that day. Serve it as I did with a salad with more punch on the side, like a bowl of grated celeriac or beets with a mustardy dressing. And because a tart always prompts a second, I was inspired to make a variant the following week, using this time greens like Romanesco and edamame. The result was scrumptious; and the tartlets perfect finger food for Rémy to eat for lunch. Curious to know whether your children will enjoy as much as mine did. 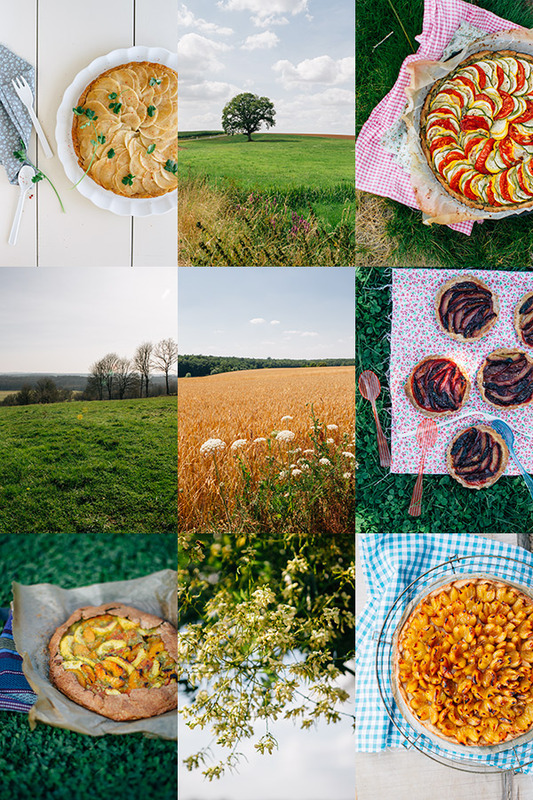 I am curious to know which tasteful tart next week will bring…. Preheat the oven to 375 F (190 C) and garnish a mold with the crust. Make small holes at the bottom and place in the fridge while you prepare the topping. Blanch the spinach in salted water for 1 minute. Drain and set aside. In a bowl, beat the eggs with the heavy cream and fresh herbs. Season with salt and pepper to taste (remember the smoked salmon will bring some salt). Add 3/4 of the smoked salmon at the bottom of the tart. Arrange the slices of zucchini and spinach on top. Pour the egg batter over and add the rest of the smoked salmon (it’s nice when its color peaks through the flan). Add chopped parsley and bake the tart for 40 minutes. Remove and let cool for a few minutes before slicing. Serve with a generous salad on the side. Hello Bea! 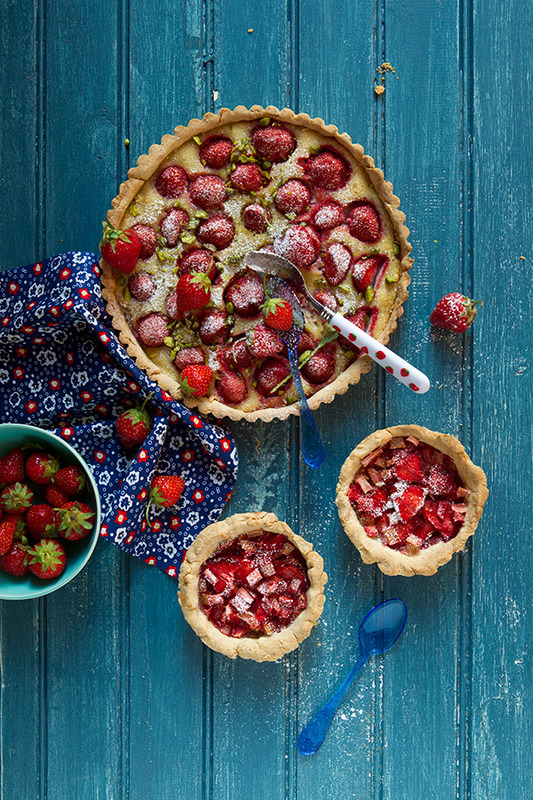 This tart looks divine, but may I ask you where you get your linens from?? They are always so beautiful!! Rose, they are from all sorts of providers, but mainly fabric stores. Looks so delicious! Love this tart… thank you!!!!!!!!!! où est-ce que je pourrais en apprendre plus sur votre nouveau livre ? Pourriez-vous partager avec nous quelques extraits ? Yum! What a gorgeous way to get in some veggies and it looks completely delish! Lovely photos always! I am not a big fan of heavy cream. Any alternatives? Thank you for introducing me to the joy of the tart! I am hooked. 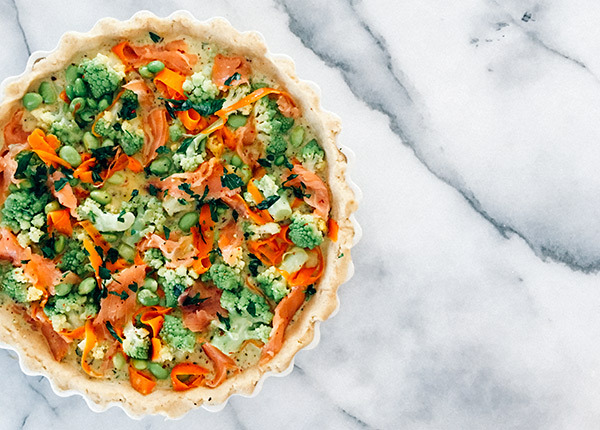 Romanesco, Edamame, Smoked Salmon and Comté Tart, that is one I will try tomorrow for lunch. I adore tarts of any idea. P.S. Is your book available in France? FMR yes you could easily use whole milk or unsweetened coconut milk for a dairy free option. Thanks for responding, Bea!! Your presentation is so spectacular, as always!! Happy weekend! Can you give info on how you prepared the romanesco tart–blanching, steaming, amount of cheese, etc.? Looks delicious. Hi Amy, ok will do. There are a few extra steps, and I also sauté the vegetables for added flavors. 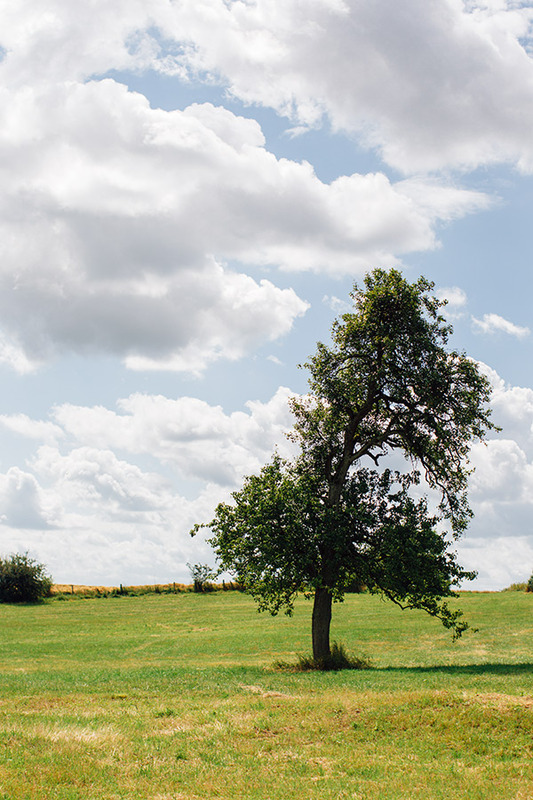 More to come…. I’m in love with the photos! I hardly ever make tarts, but you’re now inspiring me to start. Beautiful, angelic photos as always, so full of light and life! 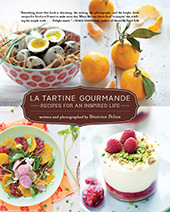 You’re one of my favorite food stylists/photographers, I love your work! Merci all. Thanks a lot Papricannelle! Very kinds words! haha. Now i have a new recipe. Hello Bea! I love your recipes and have your cookbooks. wonderful writing and stories and of course, recipes! Photos are pretty fabulous, too. I read you keep the tart doughs on hand…do you make several and freeze or refrigerate? I would love a system of making 2 at a time , baking one up and have the other for the next week. Any advice would be appreciated!! Thank you so much! No doubt, This recipe looks so delicious in those beautiful pictures!!! Love all those super healthy ingredients!! !